Join us Sunday, May 12th at 10 am for a Two Hour Coastal Cruise aboard the OCean Adventures Catamaran. This trip will depart Dana Point Harbor and cruise up the coastline to Laguna Beach. 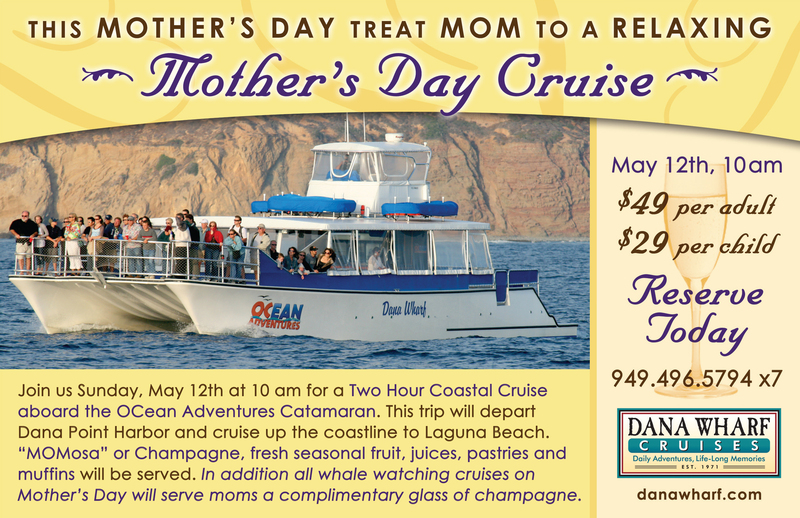 In addition all whale watching cruises on Mother’s Day will serve moms a complimentary glass of champagne.